There is a restaurant in Bellingham, Washington called Man Pies. It opened in the last few years, during the time our family was living in another part of the state. We often visit, however, and decided we had to try any food establishment with such a clever name. Turns out, we were about to get our socks and pants knocked off. The first pie I tried was stuffed with a lamb stew. It was so astounding I have never ordered anything else off the menu because I am so obsessed with the unique flavors married in this dish. I have had it in my mind to recreate this joyful experience at home but have not been handed the time or ingredients. I assumed it would be easy to find a good recipe. I was wrong. It was nearly impossible. Most people use puff pastry for the top and this was just unacceptable to me. 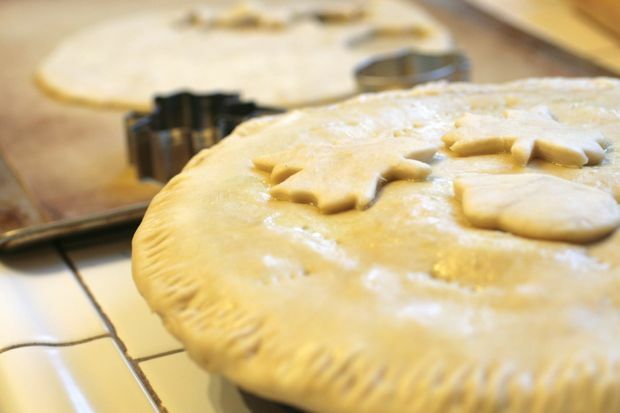 I will admit, it takes about an extra hour to make your own pie crust. It is so totally worth that hour of time. If you just absolutely cannot make the extra time, which I am well aware can happen, a store bought crust will do just fine. Even puff pastry would work but the oven temp and cooking time would be altered based on the package directions. The dish is a meal all on it’s own and could easily feed 6-8 people. It also keeps very well, refrigerated, for at least a week or two. 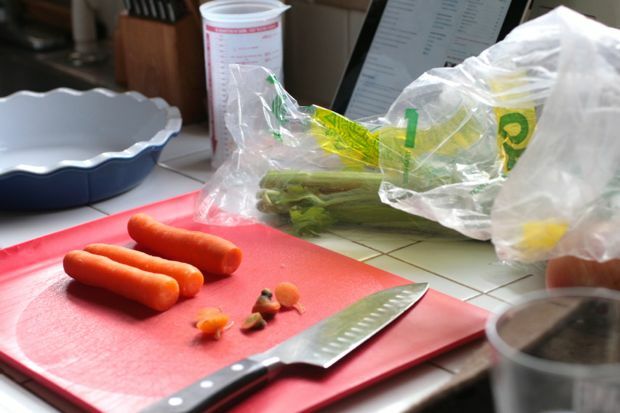 You can also make the crust way ahead of time and freeze for up to 6 months, just removing it the night before and putting it in the refrigerator to thaw. You can also make the filling of the pie a day ahead of time and refrigerate for up to 3 days, just reheat in a pot before putting inside of pie crust. As a last ditch effort, this is also a fabulous lamb stew recipe. 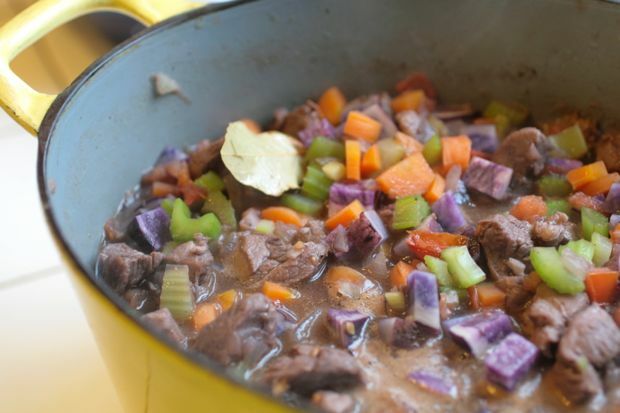 If you just have 30-45 minutes to make dinner then pick up some rolls or hearty bread at the store and whip up just the stew portion of this recipe. It will not fail you. Heat oil in large soup pot over medium-high heat and brown lamb meat (about 4-6 minutes on each side). 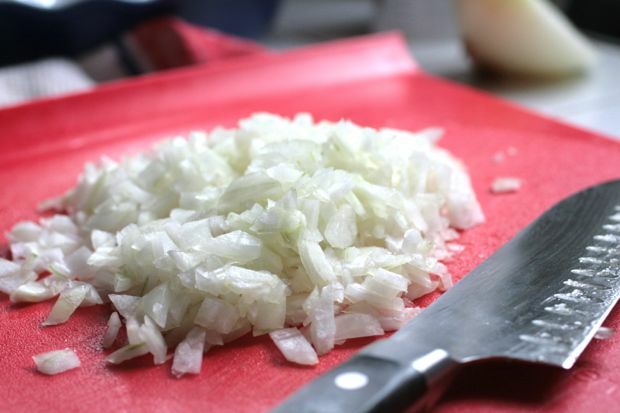 Add garlic, onion, celery, carrots and potatoes and cook another 8-10 minutes or until vegetables have softened. Add tomatoes, broth, wine and spices and bay leaf and bring to boil. Reduce heat, cover and simmer for 30 minutes. Remove 1/4 cup liquid from stew and mix with arrowroot powder until blended. Add mixture back to stew pot, stir and simmer, uncovered, another 10-15 minutes or until stew has thickened. Add frozen peas. If making only the stew then stop here, and serve in bowls with bread. 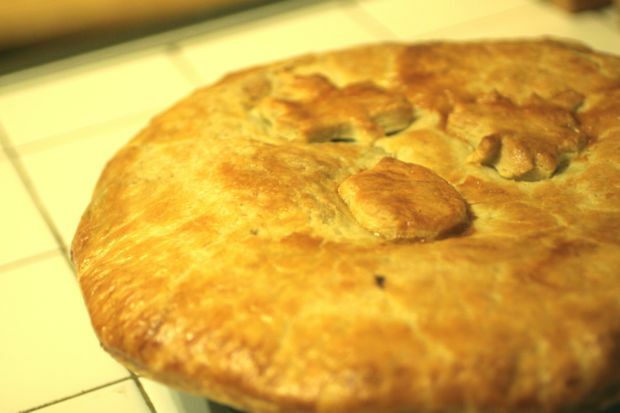 While stew is simmering, roll out one pie crust and place in 9-10 inch pie pan. If you need more direction on how to roll out crust just look at link for pie crust in side bar. Cover and place in refrigerator. Roll out top of pie crust. If stew is still simmering, put top crust in refrigerator, covered. When stew is 5 minutes from complete, preheat oven to 375 degrees. 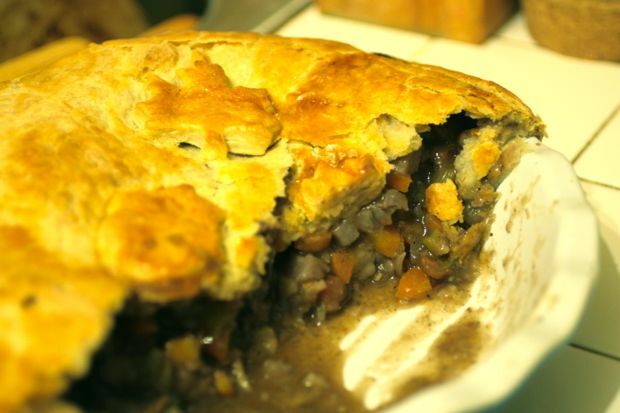 Once stew is complete, remove pie pan from refrigerator, fill with stew and gently place second pie crust on top. 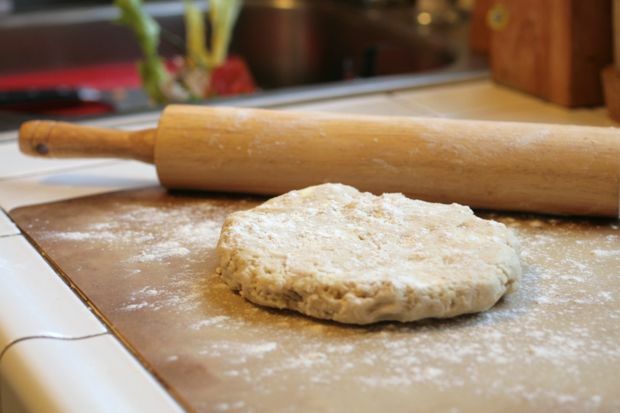 Cut excess crust dough around pie pan and seal edges together with fork by gently pressing all the way around. Brush top of crust with lightly beaten egg. Place pie in oven and let cook 45 minutes or until crust is browned. 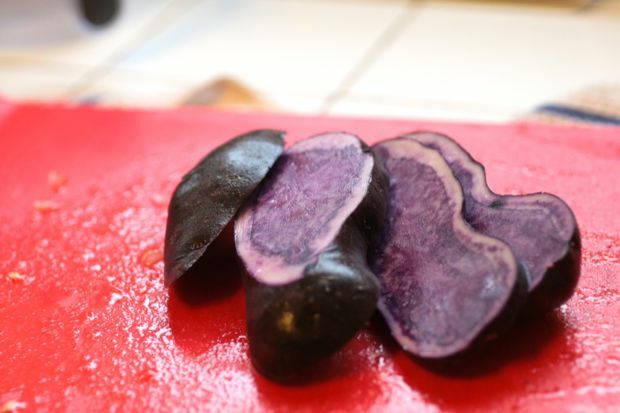 Let cool 30-60 minutes or overnight in refrigerator. Slice and serve.